Exploration usually demands the qualities of bravery, curiosity and organising ability. Arabia demanded more of the voyager: linguistic ability of a high order, scholarship and an imaginative temperament. It was also necessary to be able to pass as a native, if not of Arabia then of part of the Islamic world. The early explorers faced untold dangers, travelling in a region riven by religious and tribal conflict. 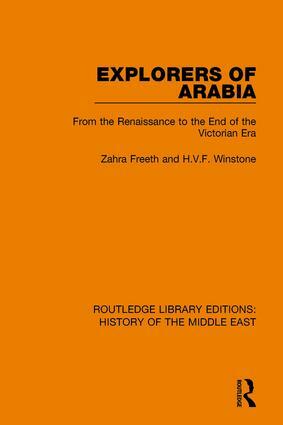 This book, first published in 1978, presents the carefully selected accounts of some remarkable travellers, ranging from the Renaissance to the Victorian era, all of whom have added considerably to our knowledge of the history and culture of Arabia.